If you want a creative gardening project this spring but do not have yard space for a garden, you could create a DIY hydroponic system. Hydroponics is a soil-less method of growing plants in a water and nutrient solution. Because the plants’ roots have direct access to nutrients and oxygen, hydroponic growing systems are often faster and more water-efficient than their soil-based counterparts. Hydroponic growing is well-suited for city dwellers who do not have space for outdoor gardens, plant aficionados looking to up their indoor gardening game or homesteaders who have been cursed with poor soil on their property. Though the basic principles remain the same across hydroponic systems, there are a wide variety of hydroponic methods with a range of sizes using a variety of different substrates and techniques. You can even make your own hydroponic growing system using materials that you can find around your house or at your local hardware store. Here are 5 great YouTube videos that explain how to create a DIY hydroponic system that will help you get started. YouTube user MIgardener shows you how to build a small-scale, cost-effective hydroponic system with cheap materials. He explains important considerations for growing indoors, like investing in grow lights, and also offers a variety of options for seeking out free materials for your hydroponic system, from making your own net cups to asking bakeries for used food grade buckets. If you are looking to get started on the cheap, this is a straightforward, comprehensive tutorial. Unlike many other hydroponic methods, the Kratky method of hydroponic gardening does not require electronic devices or electricity to run. 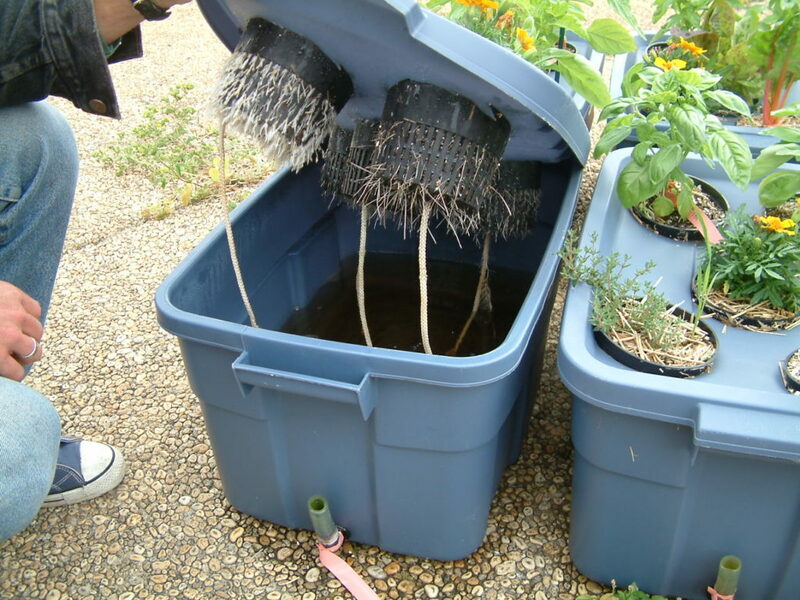 Instead of pumping and circulating the water, the Kratky method allows the roots of the plants to grow to the water level as they absorb the water and grow down. The “set it and forget it” system is passive, and growers are not required to change nutrients in the reservoir as often as other systems. This tutorial from YouTube user Khang Starr shows how to make a mini-Kratky method hydroponic system using reused plastic containers and a few simple tools. If you have a sunny south facing window, consider taking advantage of the light by creating a hanging hydroponic window garden. The result is not only aesthetically stunning, but also a great way to upcycling any plastic bottles you may have languishing in your recycling bin. 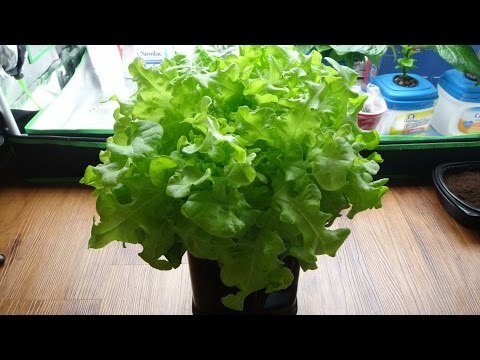 YouTube user GrowAce shows you how to build a window hydroponic garden using simple tools from the hardware store in this clear, comprehensive and charming tutorial. If you have already familiarized yourself with the basics of hydroponic systems, you may be interested in experimenting with more complex designs. YouTube user Donald Porta has a handy how-to for a vertical hydroponic grow tower made with PVC pipes. It requires a few more tools than the miniature systems, but the result is a space-efficient tower set up for your plants. 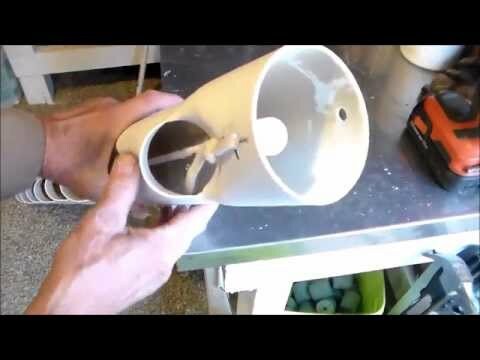 He also has a follow up video that shows the DIY system installed and filled out with a growing medium. This grow tower from YouTube user Lourie Family Homestead is for the more constructionally ambitious homesteaders, but it is a really efficient way to grow in a small space. The tutorial is instructional and informative as to why the design works for hydroponic growing. Plus,the zig-zag design is undoubtedly cool. No matter what your construction skill level, you can start your own hydroponic system cheaply and easily. Besides, experimenting is half the fun with innovative growing methods like hydroponics.